Precision testing increases the performance and reliability of power infrastructure. When high-voltage clients require routine or diagnostic tests, our knowledgeable technicians use specialized equipment to deliver accurate results. Equisales is available to work quickly when testing and related services are needed for on-time operation and fast-track maintenance. Comprehensive tests ensure the safe and reliable operation of high-voltage equipment. Our field technicians and certified quality control experts are available to complete critical assessments during the final phase of construction and installation. In addition to performing oil processing and transformer vacuum filling at remote power sites, we travel with the equipment and personnel needed to execute electrical and mechanical tests. Intensive checks ensure regulatory compliance and on-schedule close-outs. Following transformer installation and repairs, we perform these pre-commissioning tests. Additional assessments verify the operation of current transformers (CTs) and potential transformers (PTs). CT-specific tests measure polarity, current ratios, insulation resistance and primary injection. Tests for CTs ensure the accuracy of power flow measurements and the operation of protective relays and distribution circuits. PTs should be tested and calibrated for billing accuracy in conjunction with meters used by industrial clients and down-stream utilities. Field testing completed during assembly, commissioning and annual maintenance is essential for the safe operation of high-voltage equipment. Adequate quality controls and testing programs can prevent catastrophic damage. Short-circuits that overwhelm insulating materials can cause heavy faults in the coil winding and lead to immediate transformer failure. Damage and losses can be compounded when insulating oil has been degraded by use or dielectric contamination. Problems with voltage and current transformers can be prevented with regular tests that verify the resistance of windings and insulation. To achieve optimal results, all transformer field tests are performed according to relevant standards published by the Institute of Electrical and Electronics Engineers (IEEE) and the International Electrotechnical Commission (IEC). Testing is completed during installation and commissioning or as part of preventive maintenance and can be customized for each high-voltage site. Best practices depend on the type of equipment, its age, protection schemes and maintenance frequency. 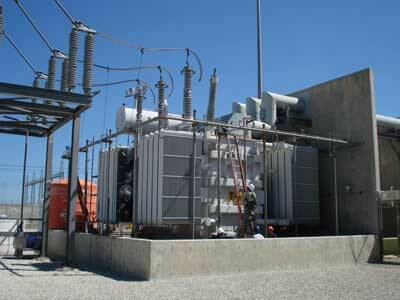 Transformer field testing can also diagnose problems that affect the safety and reliability of an entire substation. Our technicians can pinpoint leaks, hot spots and the root cause of complex problems by using digital testing equipment and heat-sensitive cameras. If an issue is detected, we can complete repairs and maintenance on or off-site. Equisales technicians are standing by to offer comprehensive field testing services for your power project. Call 713-733-3999 for prices and more information.